Wanda was a witty, kind, spiritual, musical, beautiful person with wanderlust and zest for life. She loved people and showed it, from remembering everyone’s names to visiting the sick and elderly in care homes. Wanda Marie Swenson was born to Hjalmer Augustus Swenson and Alvira Elizabeth LeMon Swenson in Minneapolis, Minnesota in 1922. She grew up in Bismarck, North Dakota with three younger brothers. She married Palmer Stromme in 1942 and had four children; like her parents, Wanda had three boys and a girl. Sadly, Palmer was in a fatal car accident in 1956. Wanda valued education greatly. She earned a Bachelor’s degree in history and library science in North Dakota and embarked on a career as a teacher and librarian. When she moved to Cottage Grove, Oregon in 1959, she was a single mother raising four children, working full time and going to school; in 1963 she earned a Masters in library science from the University of Oregon. She proudly helped send her four children to college. In 1965, Wanda moved to Stockton, California for a bigger job as head librarian of a large high school. It was there she met Earnest (Bus) Casey, who captured her heart; they married in 1968. They were active in church, both as certified speakers for the United Methodist Church. Wanda and Bus retired in 1978 and moved to Arkansas. They spent their golden years together tending to their farm and traveling the world. Throughout her life, Wanda was a passionate traveler, visiting countries across the continents, including the Seven Wonders of the World. Bus passed away in 1991. In 1993, Wanda moved back to Oregon, settling in Silverton, near her daughter, Kirsten. Wanda settled in quickly and became known as the “Hat Lady” due to her penchant for wearing a variety of colourful hats. Her activities and contributions were vast; following are a small handful. She was appointed to the Governor’s Commission on Senior Activities in 1993. 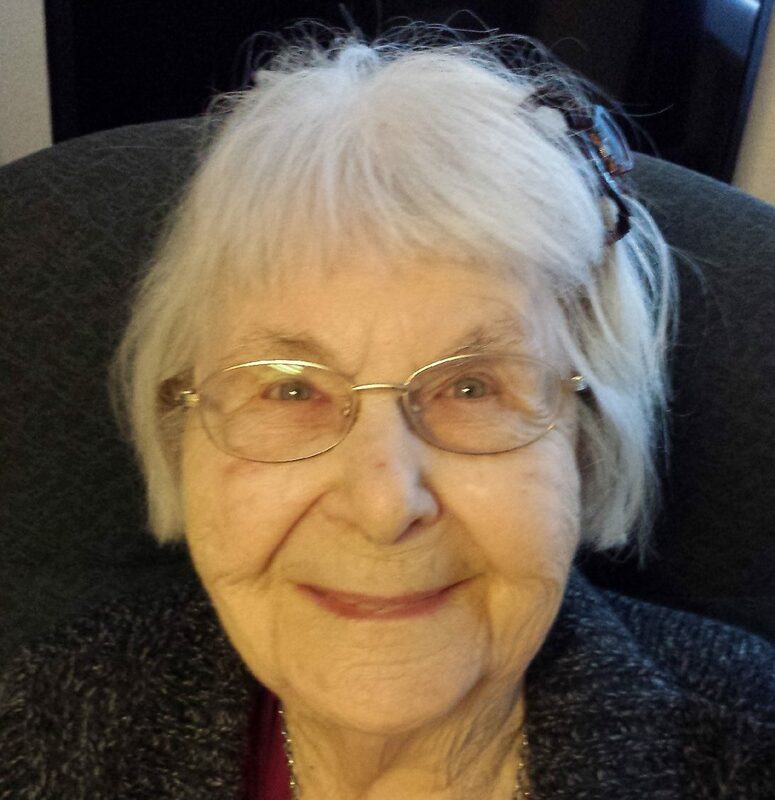 She was a long-standing member of the Silverton Historical Society. She loved music and played the piano and organ magnificently. Wanda shared her music at events, retirement homes, Eastern Star gatherings and at Trinity Lutheran Church, where she filled in as the organist and choir director. Wanda celebrated her and Palmer’s Scandinavian heritage by being an active member of Sons of Norway and Vasa, a Swedish organisation. Wanda lived a full life and was at peace with passing. She kept her wonderful sense of humor right to the end. It was her positive outlook that carried her through the difficult losses of Palmer, Bus, her oldest son, Scott, and her three brothers, John, James and David. Wanda is survived by her adult children, Craig, Curtis and Kirsten, as well as step-children, several grandchildren and great-grandchildren. Special thanks to the staff at Lancaster Village Assisted Living for their wonderful care of Wanda the last several years. I saw Wanda from afar, living in Silverton. I just knew she was a special woman. I thought she loved Jesus. An inspiration and role model for kindness and honesty. She was a huge part of my upbringing and has a special place in my heart. Wanda was a very special woman. She was a wonderful neighbor and friend. We shared many good times and memories doing so many different things. We always had a good time. My thoughts and prayers are with her family. Wow, what an accomplished and strong woman. I wish I knew her better. Thank you for trusting Johnson Funeral Home. May Wanda’s wonderful legacy live on in her children and grandchildren.